It’s been 8 years since Mosaic started and we are stronger than ever! 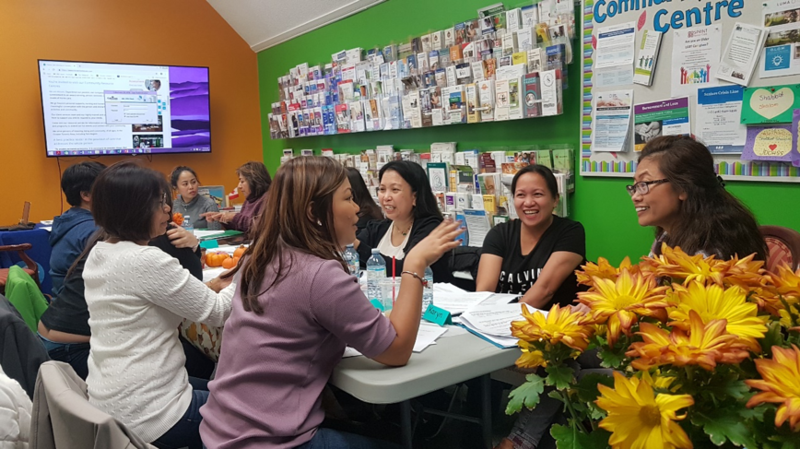 In 2018, Mosaic increased the number of programs offered FREE OF CHARGE in our Community Resource Centres as well as offered a number of group trips to some Toronto hotspots (St. Lawrence Market, Allan Gardens and more). 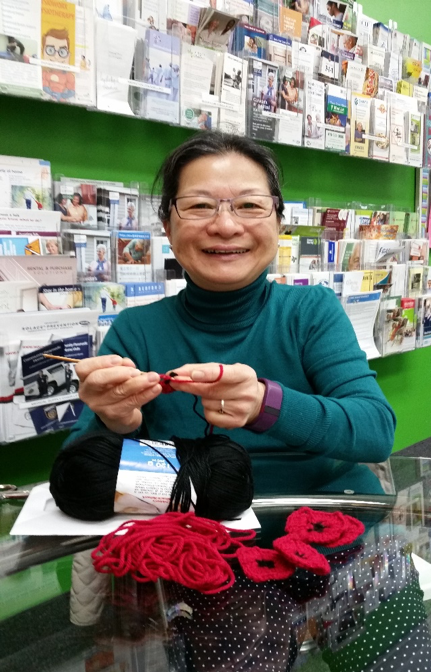 New programs offered this year include the Community Café offered at both the Corporate and mid-Toronto locations, as well as adding several new knitting/crocheting programs as they continued to grow. 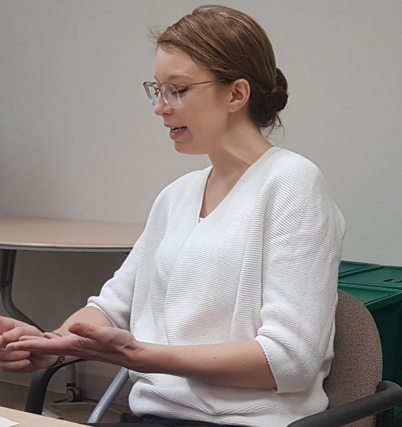 We also invested heavily in re-training our own staff who have been with us for many years to update them on Mosaic’s model of Person-Centered Care. As we learn more, we improve the way we provide services and these learnings are then passed on to our front-line employees. This includes the Bereavement & Palliative Care Support Group which was set up to support our staff and clients’ families in their time of need. This has been especially helpful with the newly legalized Medical Assistance in Dying Act. Also in the past year, Mosaic has been working more closely within the world of Academia, doing research on Community Mapping, Palliative Care & Dementia and our Person-Centered, Community Integrated Model of Home Care. The Principal owners of Mosaic, Jane Teasdale and Nathalie Anderson, continue to speak at The European Society for Person Centered Healthcare Conference where they are members. On December 6th & 7th Jane Teasdale will be one of the keynote speakers at the Fifth Annual Conference and Awards Ceremony 2018 held in London UK. 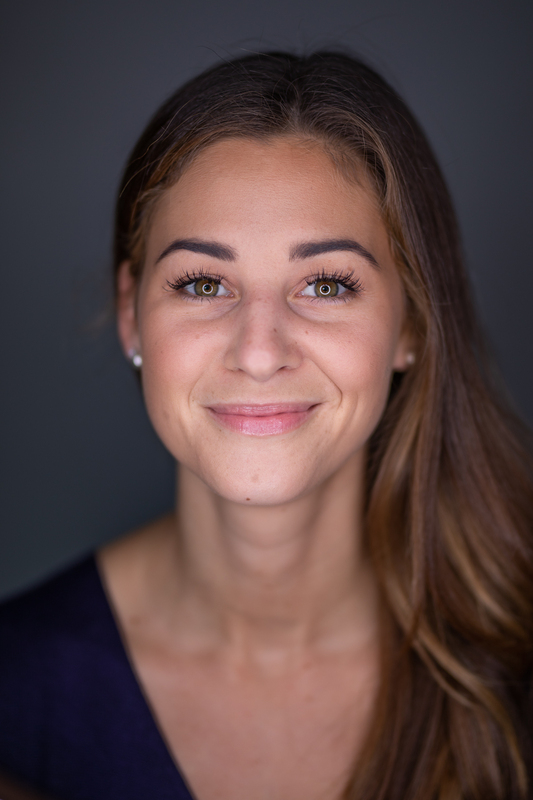 Topic of the keynote is: Implementing and managing the non-clinical psychosocial model of person centered community integrated care: barriers, tools and opportunities within our communities. This is the second time Jane Teasdale will be speaking at the conference in London England. This is in addition to all of the speaking engagements we do in the community for both older adults and health care professionals. Jane Teasdale spoke at this conference on Thursday November 15th, 2018 organized by the Ontario Society of Senior Citizens Organizations. Ontario’s Premier Seniors Conference & Information Fair 2018 – Celebrate Helping Seniors. Jane Teasdale was one of the keynote speakers at this conference. Her presentation title was: Personhood, Community, Perspectives & Interactions – Mapping, Creativity & Collaboration. We have been so blessed to also have partnerships with other organizations that benefit families in many ways: Evergreen Hospice who offer the Healthy Living Now series as well as one-on-one counselling to provide grief counselling support; Shephard Village; and York Region Alzheimer’s Society who continues to support us by facilitating the Memory Café which is a popular and much appreciated program for those living with or interested in Alzheimer’s and related dementias. We would also like to thank Sherri Bulmer from Central Eglinton Community Centre; Frank Palmer: Advocate for those living with Alzheimer’s and a caregiver to his wife; and Sasha Whiting from the Anne Johnston Health Station for contributing articles to our newsletters. A special shout-out to Albert who creates pictures and videos for our web and Facebook pages. And also to our Health & Safety Committee for keeping on top of situations that may put our staff and clients at risk. And, as always, Mosaic wouldn’t be where it is today without the tremendous effort put forth by our wonderful and dedicated staff. We are thankful for each and every one of you! December seems to be the month many traditions are carried out, not only because of religious beliefs, but also because the kids are out of school and there are statutory holidays so most everyone has a few days off work to gather with friends and family. And, of course, the retailers remind us daily starting in November, that the gift giving season is upon us. So, what is a tradition anyway? By definition, it includes customs, stories or beliefs that are handed down from generation to generation by word of mouth or actions. Some traditions that young and old have enjoyed over the years: the unveiling of The Bay downtown windows (and prior to that Eaton’s and Simpsons). The Santa Claus Parade. Work and personal holiday parties. Boxing day shopping! A quick survey of the staff at Mosaic Home Care revealed many traditions during the holidays, but mostly being with family and friends and eating food. LOTS of food. The phrase ‘food coma’ was mentioned several times. A French tradition celebrated in Quebec and New Brunswick (and Belgium, France and Brazil) is Revellion. Every year, occurring the night before Christmas or after attending Midnight Mass there is a feast that lasts long in to the night. The dinner is based on the word Reveil (waking) because participation requires staying awake long into the night. It is not unusual to hear of families sharing stories about cooking and baking with grandparents and treasuring the ‘secret family recipes’ that have been passed down. It is wonderful to have hand-written recipes from relatives in the lovely script for those that were taught cursive handwriting. What will happen to future generations with technology? Printed recipes, while still meaningful, just aren’t quite the same. More recent traditions for families and individuals may be to volunteer to help those less fortunate. It could be helping with serving a meal at a community shelter or agency, perhaps helping to wrap gifts at a senior’s residence, or for those who are creative, making a gift and donating it to those in need. At Mosaic, we are working on our Twiddlemuff project. 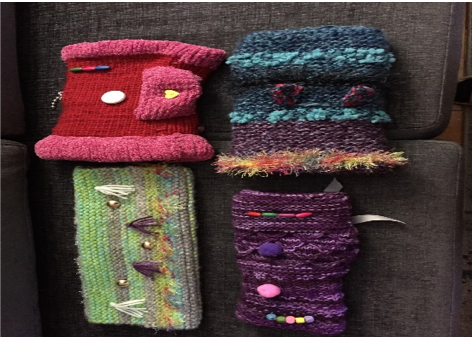 We are hoping to have knitted or crocheted twiddlemuffs to provide many seniors living with Alzheimer’s and other types of dementia, a gift to open. We want them to rip off the colourful wrapping paper just like they did when they were young. Maybe scrunch the paper in to a ball and listen to the sound and feel the texture of the paper. And then to put their hands in to a warm muff. And, surprise, there are objects to twiddle inside the muff! This keeps busy hands engaged and helps calm an otherwise agitated person. Traditions build relationships and help people feel included. And, they can happen at any time throughout the year. What are your family traditions? Will you make new ones in the coming year to reflect the changes in your life? Perhaps mailing a handwritten card is a tradition to start or return to. And, of course, calling those whom we have not spoken to all year for a few good laughs and catch-up. At Mosaic tradition is our Annual Holiday Celebration! Join us and our entertainer ‘One Man Big Band’ on December 20thfrom 10:00 am to 12noon at The Shops on Steeles & 404. RSVP requested. Traditions. Such a wonderful thing! Every time we think things are slowing down, they speed up faster than ever. Such was the case in November. A quick review of the marketing team shows that we had over 25 community commitments: 8 networking meetings attended; 5 presentations given; 4 conferences/health fairs where we had representation; 5 curling sponsorships throughout the City and 3 conferences attended for educational purposes. The marketing team appreciates the help from Martha and Kimberly on those days where multiple events had them helping us out! 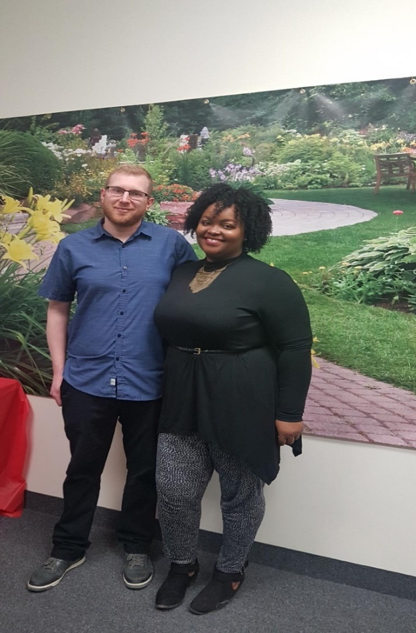 We also held our last Job Fair of the year which was a successful day for those attending and, of course, for Mosaic who was able to interview and invite multiple caregivers to our orientation. These job fairs are our opportunity to showcase Mosaic and share the benefits of working for such an innovative organization, as well as showing off our Community Resource Centre! 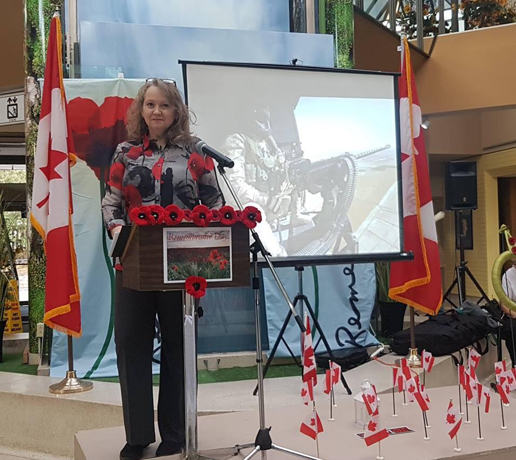 On Saturday November 10th Kimberly Davies (Managing Director) organized our 3rd Annual Remembrance Day Ceremony in Centre Court at The Shops on Steeles & 404 for our local community. 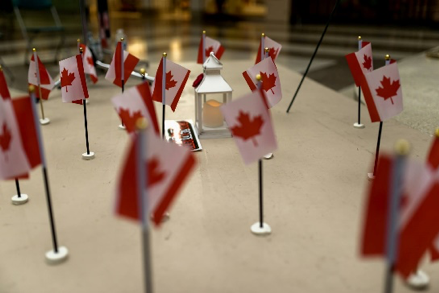 At Mosaic we understand how important it is to honor those who gave their lives for our freedom and to thank those who have served and continue to serve Canada. This year we welcomed Retired LT. Dixon and welcomed back SGT. Gerhardt to our podium. Members of the Cummer United Church Choir led us in song and sang through as we presented our poppies to our wreath. We thank you for your service. Kimberly at the podium at the start of the Remembrance Day Ceremony! Sgt. Gerhardt’s 2nd year in a row assisting us at the Podium for our readings at the Remembrance Day Ceremony. 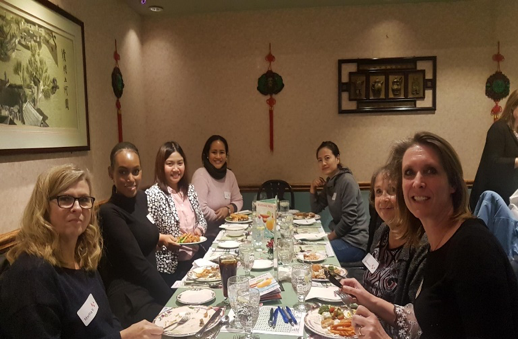 We had the pleasure of hosting a tour and lunch at the Vibrant Healthcare Alliance (formerly known as Anne Johnston Health Station) on November 9th. Sasha from Vibrant Healthcare Alliance updated us on all the programs and events they host year round! Vibrant Healthcare Alliance is a best practice leader in person centered community- based health care. Mosaic is very impressed with their focus on the wider boundaries of the person, the many events and activities they host and the community leadership and involvement they inspire from those living within the community. Sasha from Vibrant Healthcare Alliance (formerly known as Anne Johnston Health Station), speaking on their services and programs for the community! The Steeles Pole Walking Event had a very successful walking group on November 16th with 5 NEW walkers joining! Due to the first storm of the season, we did an indoor pole walk for about 45 minutes followed by tea and coffee. The next session will be in 2019! Our knitters and crocheters continue to work on their own projects, especially trying to finish those items that are meant to be holiday gifts. And then there are those who are working on the Twiddlemuff Project and have been helping to give a gift to those living with dementia. We will be wrapping and delivering these muffs just in time for the holidays. We will keep you posted on the success of this project. 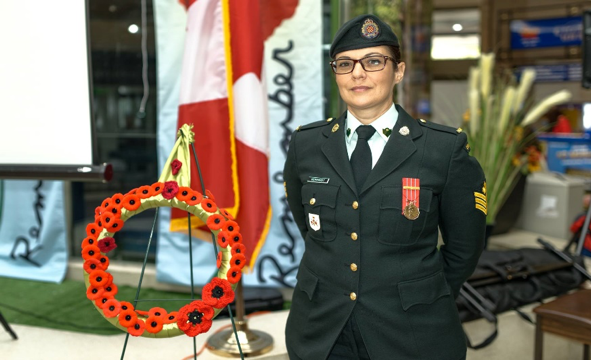 We would also like to thank the knitters who spent their time crocheting beautiful poppies to adorn our podium and wreath for our Remembrance Day Ceremony on November 10th, 2018. As above, the knitting and crocheting groups will continue. So too, will our monthly cafes that encourage socializing, learning and laughing. A big shout out to Gail Armstrong, Anne & Thomson and Katnerina Duhatschek from our CNIB knitting group. 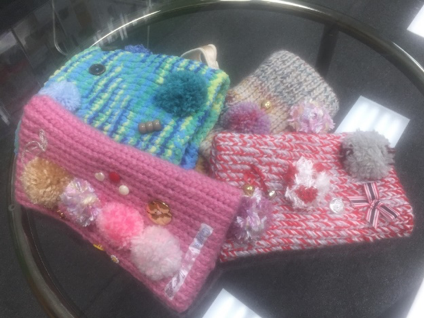 They have completed a good selection of Twiddlemuffs to drop off for our Mosaic Clients. 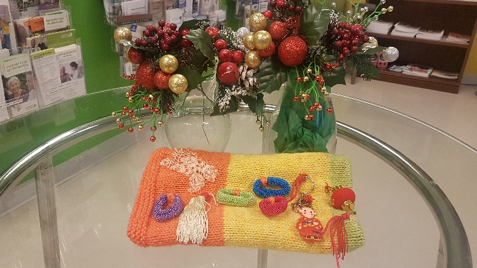 The knitting group from our Steeles office have also been busy bees. The finished products from both sites are below. 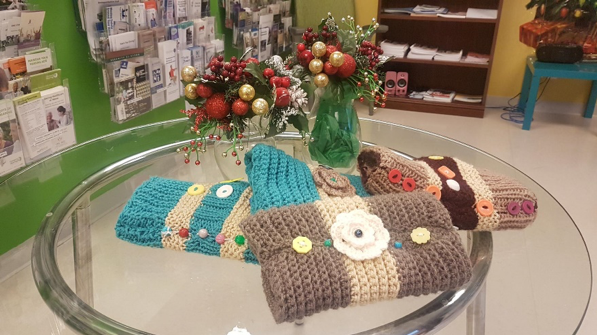 We will continue this project into the New Year and donate some Twiddlemuffs from our Mosaic’s knitting group for Sunnybrook Health Sciences Veteran’s Wing. Just as the flowers are changed over for the holidays, Mosaic will be hosting a field trip to Allan Gardens to view the spectacular floral arrangements. Who knew that a piano could look so lovely? 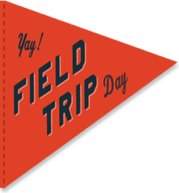 Free admission to Allan Gardens and afterward we will take a short walk to the Golden Diner Restaurant to enjoy some food and most importantly, get to chat with one another. Easy to get to by public transit. Parking is limited at Allan Gardens but there is a lot of paid parking in the area. Special Event: Mosaic’s Holiday Celebration! Nothing says ‘the holidays’ are upon us more than music. Join Mosaic on Thursday December 20th from 10:00 a.m. to 12 noon. Located at The Shops at Steeles & 404, centre court. For a morning of music and fun as we dance and sing along with the ‘One Man Big Band’. Back for a second year, we are hoping to match the excitement from last year! 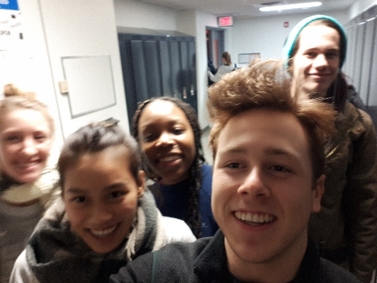 Also at our Christmas bash, we have a very special performance from the Theatre Performance 2nd year Humber College acting group. Following the concert will be refreshments. There is no charge for this event and there is plenty of free parking and access to public transit. 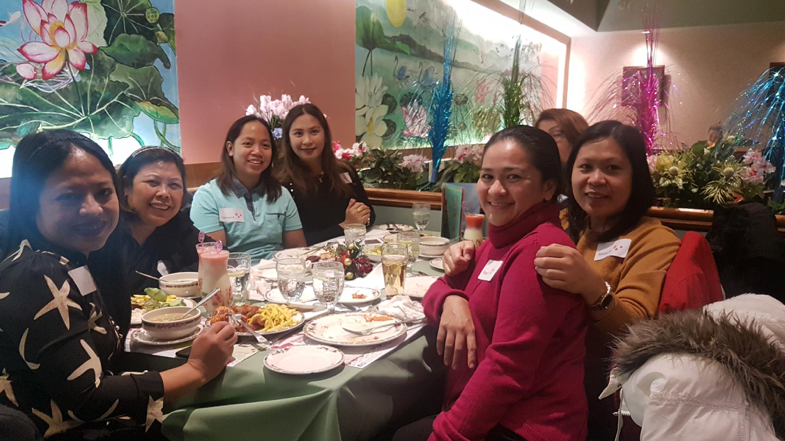 We had 2 celebrations on different days at The Mandarin Restaurant to allow as many of our staff to come without disrupting services to our clients. 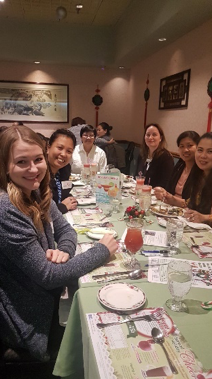 Our Mosaic team of operations, marketing, client services wanted to thank our front line staff for all the dedicated person centered care they provide to our clients each and every day. Nathalie and I are really fortunate to have such a committed team of PSW’s, Lifestyle Companions, RN’s and RPN’s. As you can see from the photos, a good time was had by all! December is a busy month for most everyone, what with shopping, getting together with family and friends, and food. So much food! Knowing this, we want to give you a quick heads-up of a few events in January, especially since we are unsure how long it will take Canada Post to deliver the newsletters to those who receive via snail mail. Opera aficionado Marcel Deurvorst returns to Mosaic once again! This time the spotlight will shine on: The Art of Luciano Pavarotti. Featured Opera: La Boheme by Puccini (experts) La Boheme is an opera in four acts. Mosaic is happy to provide a Senior’s Mobility Workshop with Dr. Christina Mallinos from Urban Health Group. Feeling stiff and achy? Lacking mobility? Losing your balance? Let’s Have a Happy Holiday Season for All! The Holiday Season is often a great time to spend with family to eat, drink and be merry. But it’s also a time for reflection of how fortunate some are to be able to enjoy the Holiday’s while many are not. Vibrant Healthcare Alliance (formerly known as The Anne Johnston Health Station) are collecting donations of non-perishable foods this holiday season to assist those who are suffering from food insecurity this winter. In partnership with Vibrant Healthcare Alliance, Mosaic will be collecting donations at our community resource centre located at 2900 Steeles Avenue East. You can drop by anytime Monday to Friday between 9:30 am and 5:00 pm to drop off a donation or come join Mosaic at our Holiday Celebration on December 20, 2019 at 10:00 am to 12:00 pm and bring a donation with you! And on that note………. Mosaic and our team including office staff, marketing, operations, client services & front-line staff would like to wish all our clients, families, community agencies & the wider community Happy Holidays & Happy New Year! Stay tuned for our Mosaic’s winter newsletter 2019 coming out first week in January.